Cards by Jessi: Våren är (nästan) här! Jag deltar i följande utmaningar: Meljen's (Seeing double), Simon Says Monday (B is for Bunnies, Bird and bits&bobs as I mainly used different small leftover pieces), Send a Smile 4 Kids (Easter / Spring), Brown Sugar (Spring), Pile it On (Green), Creative Card Crew (Green) och Allsorts (Spring is in the Air). This is sooooo cute! Love the combination of the images! A beautifully bright and happy card and full of Springtime Jessi. 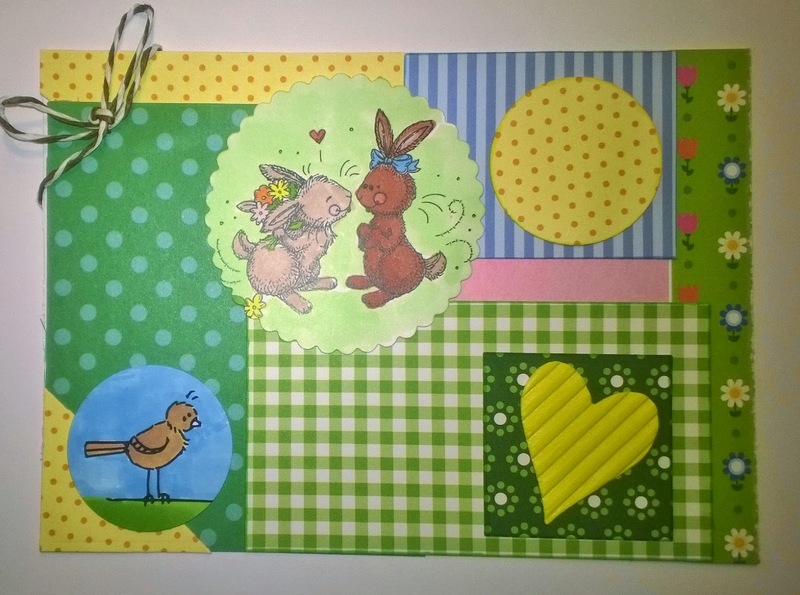 Thanks so much for joining in my Spring theme at Allsorts this week. I love the 2 bunnies they are adorable. Lots of color and great card, thanks for joining us at Creative Card Crew. Hei, kiva ja keväinen kortti.